Departing from the hotels in the morning and arrive at the horse range which is at the same time a beautiful restaurant in the nature. Till our horses are prepared, we are offered tea. 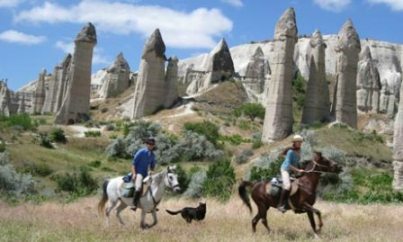 We start our tour and ride along the Kızılırmak River up to Ziyaret Mountain to see one of the most beautiful panoramas of Cappadocia. Riding through a path among the wineyards we arrrive at the refreshing natural spring. After half an hour of slow riding we come back to the Horse Range again where our tour ends and we are transfered back to our hotels. 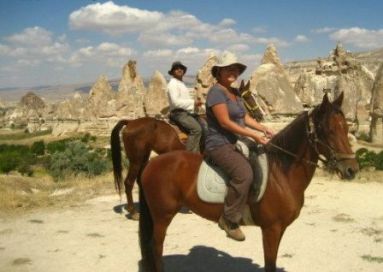 * The tour includes, motorcoach transportation, horses and services of an english speaking guide. * The tour excludes all domestic flight tickets, porterages, tips, and personal items.